ASP Valenzuela Chapter and SM Center Valenzuela held a sensory-friendly movie screening last 5 August 2014 at Cinema 2. A total of 247 participants, 110 of whom were persons with autism, attended “Adventures of Zambezia”. According to ASP Valenzuela President, Dr. Nida Valeriano, as early as 9am SM Center Valenzuela allowed the viewers to enter the Cinema 2 for them to choose optimal seats. Children were allowed to explore the theatre before the movie started. “Through their facial expressions and gestures, you can see that they enjoyed a lot. Parents, teachers and school administrators were all thankful. Many of them texted and called me, requesting for a repeat presentations. To sum up the response is very overwhelming,” Dr. Nida said. The management of SM Center Valenzuela were all happy to the extent that everybody enjoyed watching the movie. They also provided 140 packs of free snacks for the children that were distributed while watching the movie. “Engr. Gats, the mall manager, told me that he will try his best to convince the management to make this a regular activity every quarter,” Dr. Nida added. 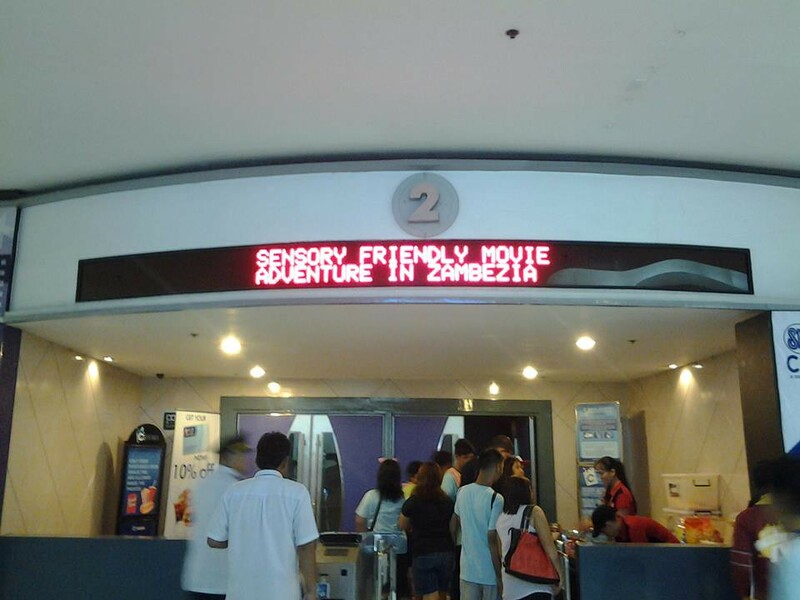 SM is holding a Sensory Friendly Movie nationwide in partnership with the Autism Society Philippines. ASP chapters and ASP institutional members interested in implementing sensory-friendly screenings may contact the ASP Office at +632.926.6921 for details.